As a self-confessed carnivore, the thought of heading to East Sussex’s first Argentine grill has me giddy with excitement. 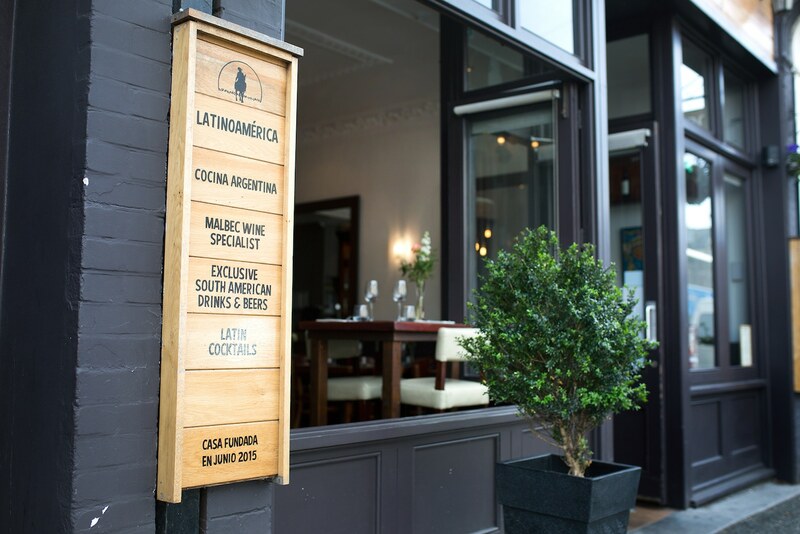 LatinoAmérica based in Hove is a sophisticated restaurant true to its Argentinian roots, with its culinary blend of Italian and Spanish influences. The elegant décor and dark wood wine cases adorning the walls reflect the menu – simple, refined and authentic dishes that let quality ingredients do the talking. Until now, I can’t say I’ve had steak from Argentina. 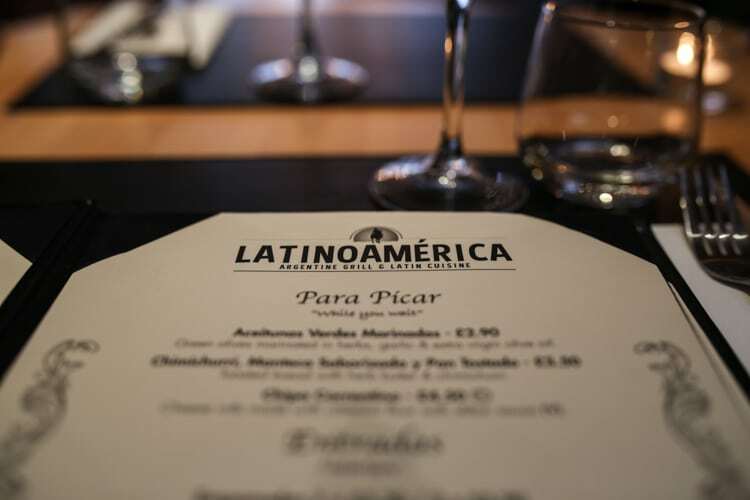 LatinoAmérica is one of only 40 establishments in the UK to import their premium steak from Las Pampas, Argentina – a region famous for their carné (beef). This is a world away from your Wetherspoon’s Monday steak club and I can’t wait. 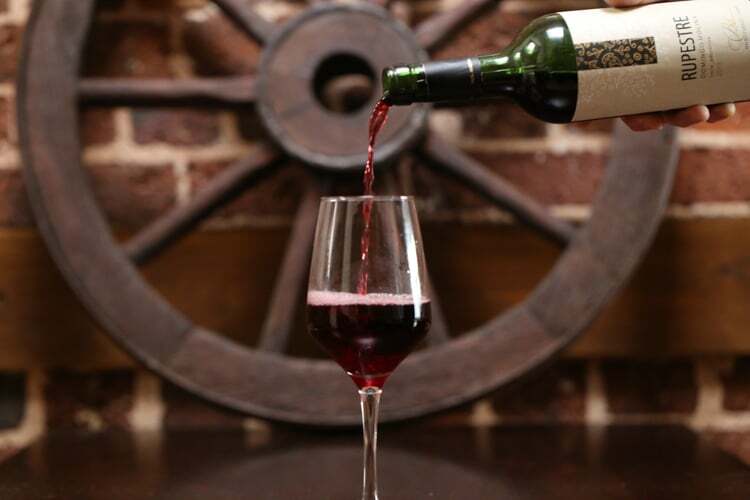 As Malbec specialists, LatinoAmérica pride themselves on offering authentic wines reaching across the Argentine regions of Mendoza, Salta and to the cooler climates of Patagonia. Driving duty has us leaving the wine for another time and choosing instead from exclusive Latin soft drinks. 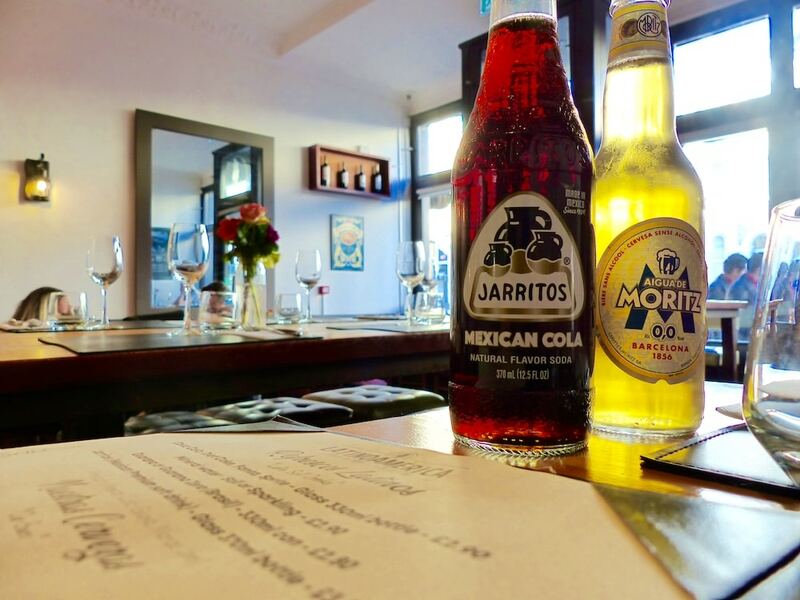 My partner opts for Moritz, a light and hoppy Spanish non-alcoholic beer and I go for Jarritos Mexican-spiced premium cola, which adds a background hum of warm spice to the familiar sweetness of cola. With (several) future visits in mind, I’ve bookmarked a few wines thanks to helpful recommendations from owner. 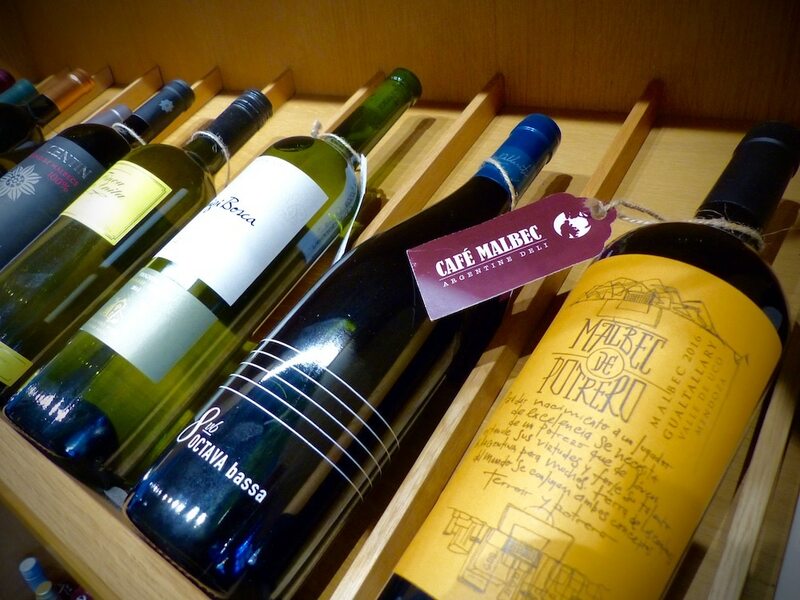 We’re recommended the Vicentin Blanc de Malbec – a perfect accompaniment to starters and the only white Malbec you’ll find in East Sussex. 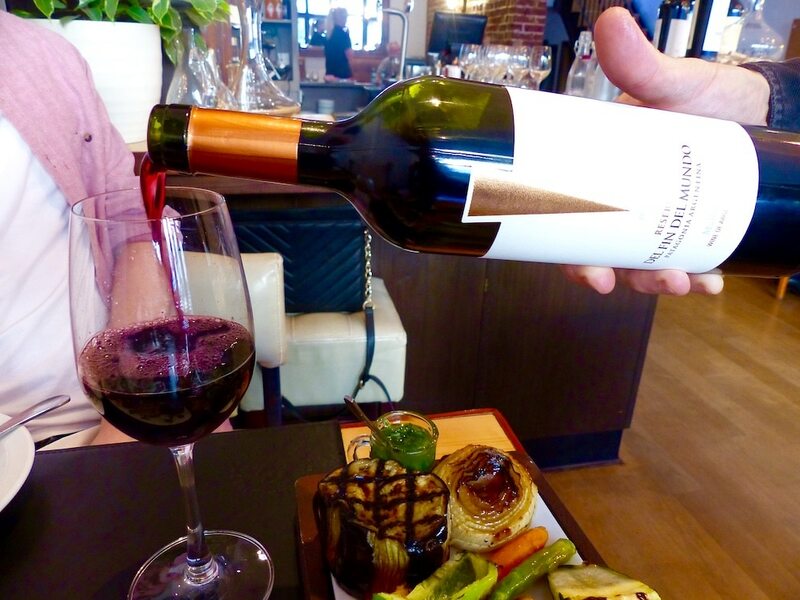 For the mains, we’d go for the dark and intense Fin del Mundo (‘the end of the world’) – a Malbec from South America’s southernmost region, Patagonia. 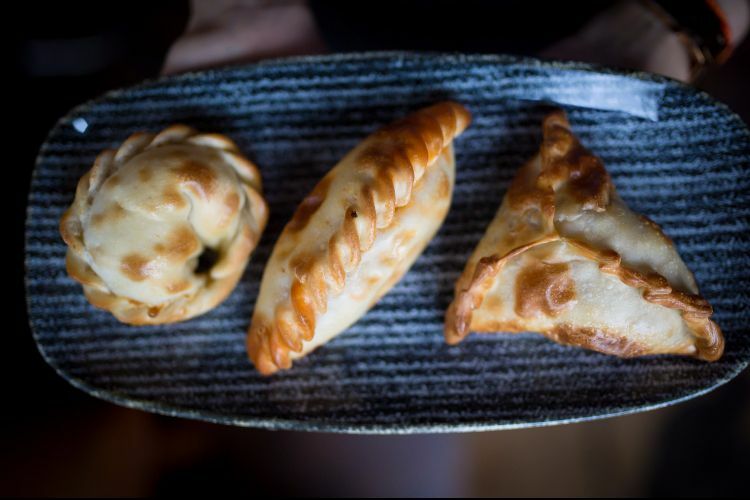 Traditional filled pasties, empanadas are a South American staple and the perfect start to our meal. First up, a duo of vegan-beef and vegetable empanadas capable of turning a carnivore’s head. Golden pockets of pastry (without the egg glaze) arrive, hand-crimped and generously filled. One rich with vegan mince and the other with grated carrot, mushroom and vegan cheese, making for a creamy and light starter. Then onto a carnivorous variety – filled with bold and hearty beef mince and lifted by fresh and herby chimichurri. These unassuming pasties are bursting with flavour and between us, they’re gone in moments. As a popular precursor to our upcoming parrillada (mixed grill), we move onto Provoleta al Oreganato -Argentina’s answer to Italian Provolone cheese. 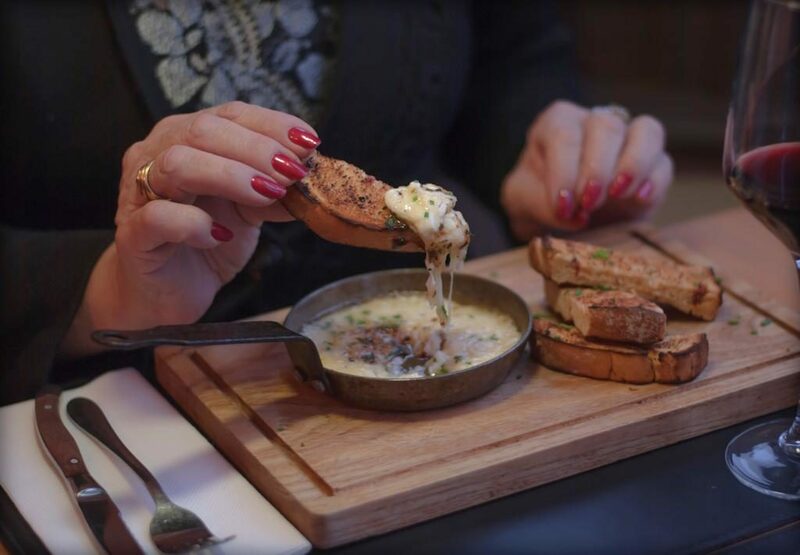 Bubbling fondue peppered with oregano arrives in a miniature frying pan alongside thick-cut toasted bread. Cue endless fork-twisting and pulling apart gooey cheese onto toast (or directly into mouths). Somehow, the best is yet to come. 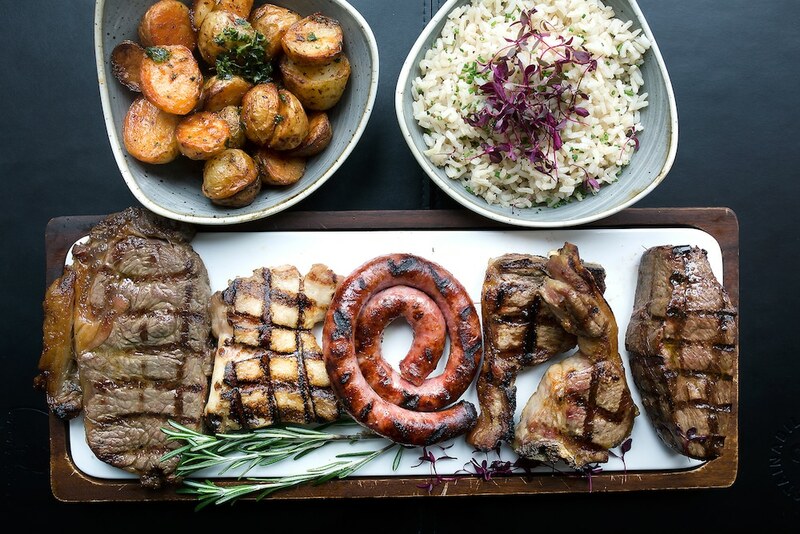 Sunday special and feature on the festive menu, Gran Parrillada graces our table: an Argentinian mixed grilled feast for two. We’re presented with an incredible platter of sirloin and rump steak, blushing pink lamb chops, succulent chicken and Salchicha parrillera (Spanish spiral paprika-sausage), each kissed by the grill, adorned with sprigs of rosemary and served with golden, crisp potatoes. Suddenly the peppercorn sauces and garlic butter I’m used to alongside my steak are unnecessary frills to the premium cut, seasoned and simply cooked Las Pampas steak. 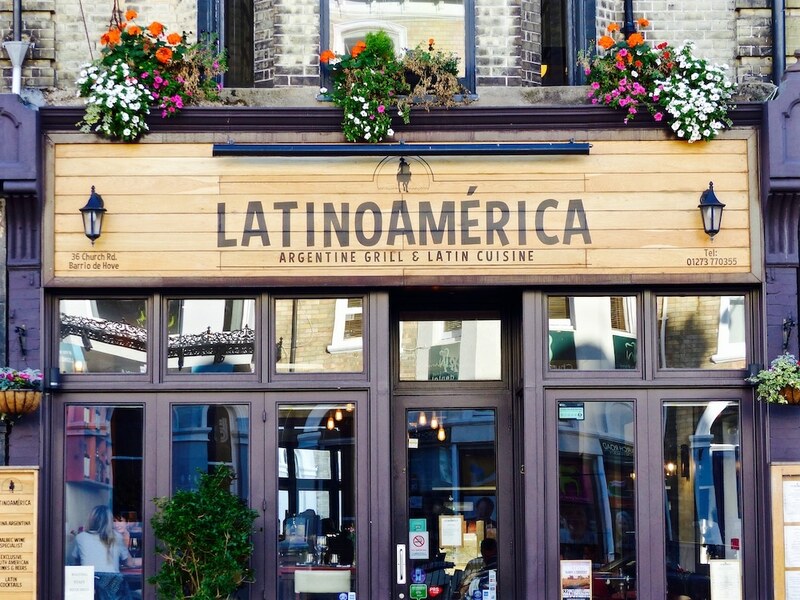 For a cuisine so focused on their meat, LatinoAmérica are keen to offer vegetarian and vegan-friendly Argentine food. 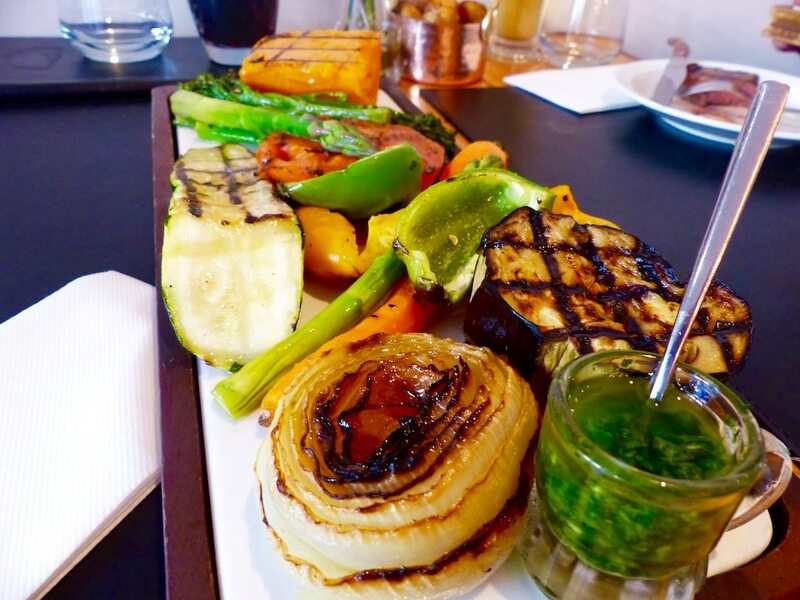 We get a sneak peak of the Parrillada vegan, soon to arrive to the menu: a gloriously vibrant platter of grilled sweet potato, asparagus, peppers, carrots, onions, tenderstem broccoli and aubergine, with a herby Salsa provezal. Honestly, vegetables have never looked so good. Follow up your vegan empanadas with this, and you’ve got a vegan Argentine feast to match any steak. How we find room for something sweet is anyone’s guess. 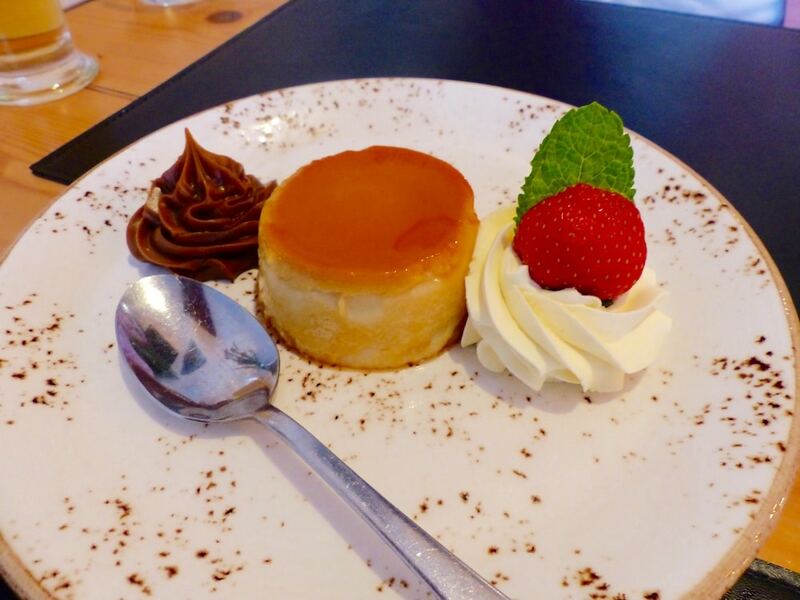 But a tempting array of desserts comes along and we can’t help but share the Flan Mixto – an Argentine Crème caramel flan with piped swirls of dulce de leche and whipped cream. Fears of an overly indulgent dessert were soon put to bed, as we savour the smooth and surprisingly light flan, perfectly coupled with the heady caramel and fluffy cream. The joy of discovering a restaurant that hits every mark only grows as we’re invited next door to Café Malbec for a cuppa. 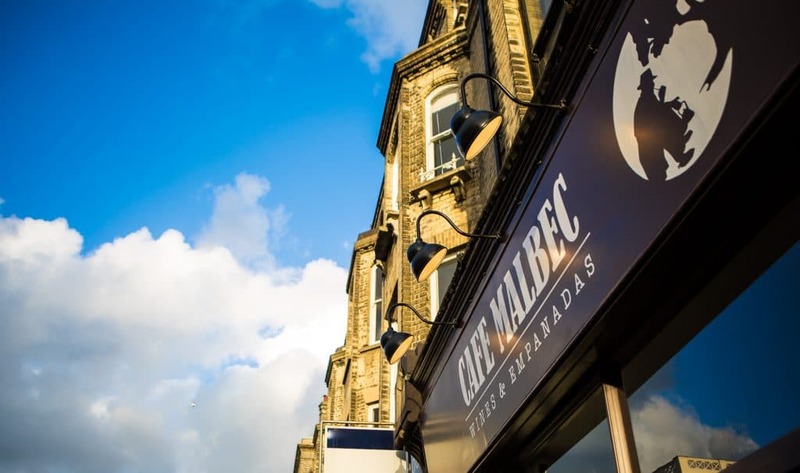 A sister establishment prompted by Brighton’s demand to try and take exclusive South American wines home, Café Malbec intertwines tapas and wine bar and coffee shop. 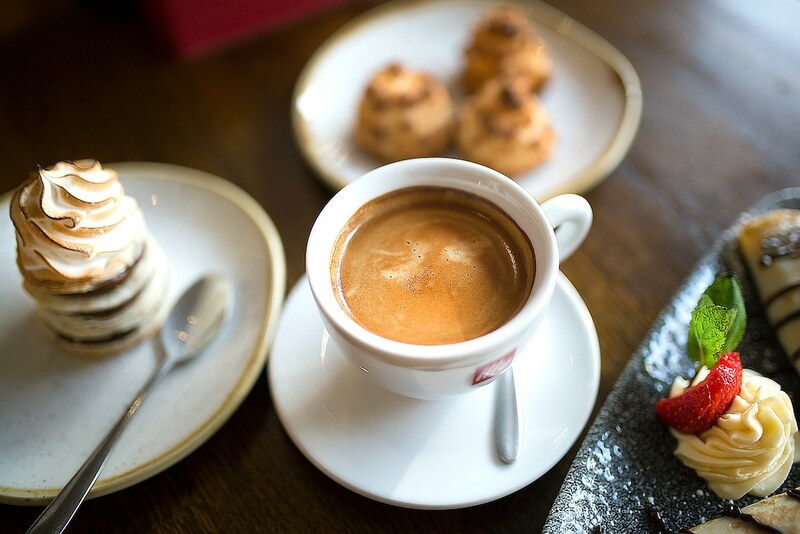 Popular as a wine bar to complement your meal at LatinoAmérica, it also boasts a Latin delicatessen of sweet treats and Argentine snacks – including 12 varieties of empanadas and soon to offer an Argentinian take on English brunch! From its classic space, helpful service and authentic food, it’s not surprising that LatinoAmérica is no stranger to celebrity guests. Indeed, the restaurant is frequented by local DJ’s and footballers enjoying some downtime. Our faultless dining experience leaves me wondering how I’ve never come across traditional Argentine food before (and genuinely googling holidays to Argentina)!